My latest post enumerated my top ten reasons to love jewelry. After a few day of letting it linger, I decided to illustrate each one of my statements, to let you share jewelry’s seduction power and, who knows, get inspired for your next piece. When I talk about story-telling I am referring to the ability that a particular piece has to communicate a set of stimuli that transports you to another reality or makes you feel different, richer, better. 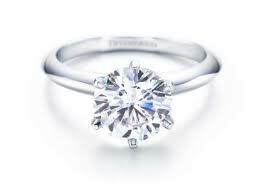 Take a well known piece of jewelry: the Tiffany round diamond solitaire. The moment you visualize the ring – its sleek and polished design, the delicate prongs holding the stone, the scintillation of the diamond when you hold it against the light – you start fantasizing about the romance the ring embodies, the rare understanding between two people that found each other and chose to commit to a life together. Tiffany is one of the master story-tellers in the jewelry world. It occupies the space I usually call “your life story”, because it is always about YOU and your moments. There are other brands that focus on story-telling but do so in other terms. Take Bulgari: great classic story, translating its original Greek (the founders’) and Roman (the location’s) roots into a contemporary language that although cultured is also accessible, even casual. So, this brand tells you the story of a civilization, a bit of classic Europe’s history. Each piece comes with the feeling of heirloom, even before you purchase it. Another kind of story-telling in jewelry design is the egotistic one: “I lure you into MY world and my inspiration”. For me, the current gold medal holder of this space is Victoire de Castellane, at Dior. Although her work has references to Christian Dior’s heritage, it does so with a wink. Victoire’s vision of the world shines through speckled with her very unique imagination, memories and boldness, as illustrated in this beautiful picture taken by Kai Jüenemann. As a consumer, either you let yourself be seduced and buy into that story or you don’t. The last type of story-telling is every girl’s dream and happens when the story belongs to the actual jewelry owner. The greatest example has to be the Duke and Duchess of Windsor’s jewelry collection. The power of their love story was unrivalled and so was the jewelry they offered each other over the years. It’s almost like each piece had its own part in the overall script, that the numerous inscriptions found in the pieces help perpetuate. 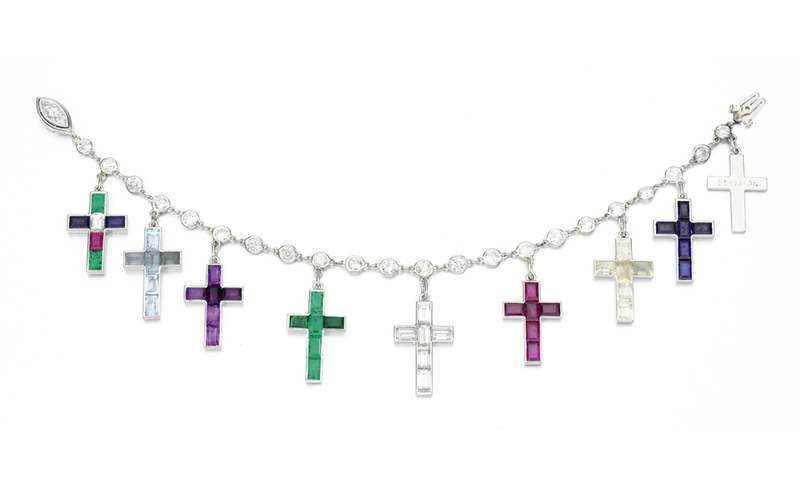 One of my favorite pieces is the cross bracelet, where each cross was added for a particular event or reason. It is not the most valuable. But it is a true “life moments piece”, that probably was worn daily – my kind of use! Madonna – who just presented W.E., her view on this love story – is one lucky gal and has been sporting her own version. Don’t miss The Jewelry Editor‘s feature on this particular subject. How about you, what is your favorite jewelry story? Business woman and entrepreneur. Healthy food evangelist. Also loves books, jazz music, jewelry design and life in general. This entry was posted in Bracelets, Brands, Inspirations, Jewelry, People, Rings, Uncategorized and tagged Bulgari, Castellane, Christian Dior, Christian Dior S.A., Jewellery, Jewelry, Madonna, Style, Tiffany, Wallis Simpson. Bookmark the permalink. Love the cross bracelet! Wish I could have one just like it. Well, Cartier is re-editing the original…. But you know what? I think the best is really to build your own history as time goes by. Choose your chain bracelet and go on adding your own charms, be it crosses – I love crosses in jewelry, they have a mystic elegance of their own – or any other shape you like, at special life moments.